Don't take our word for it..
We're proud of our projects and work hard to deliver the best web design and online marketing services available. Our client testimonials and results show just some of our achievements. Choosing the right web solutions partner could be one of the most important business decisions you'll ever make. But just how do you make that choice when there are so many suppliers out there? Since its formation in 1995 Cyber WebCreations has provided a one stop workshop for organisations requiring the best support to analyse, design and implement web applications in a thorough manner. Originally started as a one man business, Cyber WebCreations is fast growing and has now forged partnerships with some of the best software developers and translators, achieving outstanding results for our clients. As well as creating professional and creative web designs, our technical capabilities mean that we can build online systems to improve your internal and external operations. Our solutions are much more than just 'web design'. We recognise that not everyone has 'normal' computer skills or vision. By building accessible websites which can be used by anyone, companies that choose us can increase their audience reach, while improving their image. High levels of personal customer service and support are one of the main reasons people choose and stay with us. We have grown organically as the majority of customers have passed on referrals to other businesses because of the high service levels delivered. 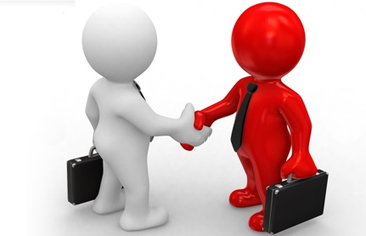 Unlike some of our competitors, we don't tie you into long term contacts so that you limit your options. Our clients stay with us because they want to, not because they have to. We don't use jargon to baffle and bemuse you. We explain things in plain Maltese or English so that you can understand the best options available. We don't take on every project that comes our way. We believe in quality over quantity so you won't see us building hundreds of websites each year. Each website design we build is unique so we don't use templates. Every company that we deal with is unique so we build designs and ideas to reflect your uniqueness. When we take on a project we don't treat you as just another customer to the list but we work for a long-term relationship which eventually you become a friend. If you're interested in working with us, why not call us on 21441530 or send us an email to get in touch. If you haven't checked out the results that we've achieved, then have a look!